Last Sunday, we headed down to Karlsruhe for the day. As a result of the Germany's history, almost every town has either a castle, or a palace, and their condition varies. In some towns, the castle is more or less in ruins, in others, they are still in remarkable shape and now house museums. The palace in Karlsruhe fell into the latter category. At only 4 Euro admission, and only 45 minutes away, it's an easy day trip from Mannheim. The palace is three stories tall, with a cellar. The entire castle is a museum highlighting the people who have lived in the Baden-Wurttemburg region. It begins in the basement with ancient Romans and Celts who first settled the area. The exhibit then continues as you climb the stairs to the middle ages, the renaissance and then through the 1700s, 1800s, 1900s, and today. All of the display information was in German, but we were able to understand and get the gist of it. 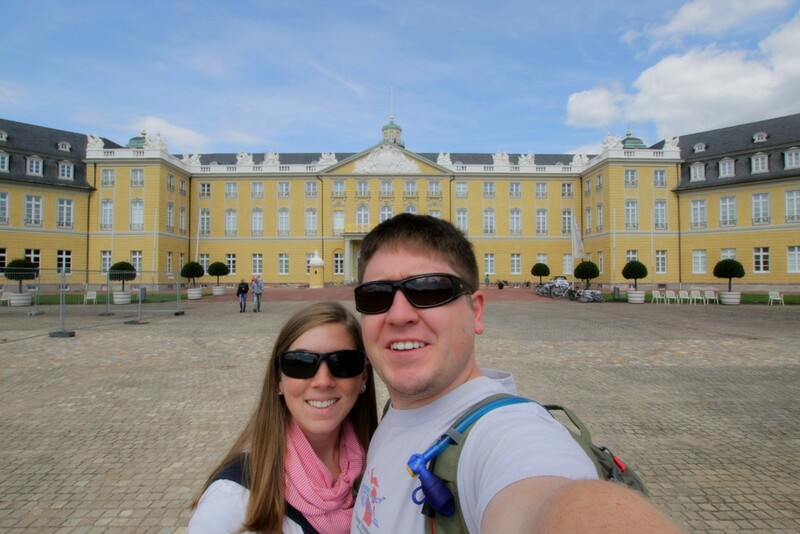 Word of warning though, if you want to see a palace as it was in it's heyday, do not go to the Karlsruhe palace. It is beautiful in its own right, but has been heavily updated to house the museum and now bears little resemblance, on the interior, to what it was like a hundred years ago. The best part of the palace, in our opinion, was the tower. It's only a couple of stories taller than the rest of the palace, but it rises above the surrounding trees and gives a spectacular view of the city. It will never cease to amaze us the range of time periods visible in a single city. From one view, without moving our feet, we were able to see an interesting juxtaposition of the modern in the form of wind generators and industry, and the old in the form of Baroque cathedral spires. It really is unlike anything in the US simply because some of these buildings and cathedrals are easily hundreds of years older than our country. After touring the palace, we headed out the gardens. An old, wood-fired steam powered train (Zug) is operated on the garden grounds, and of course we had to take a ride. Again, at 4 Euro each, it's not expensive. It was nice to see most of the garden in one fell swoop without having to walk it. There were lots of little playgrounds, a couple ponds, and miles of walking paths. There were people out having picnics, reading in the sun, and just generally relaxing - the true German way to do a Sunday. All in all, it was a nice, relaxing day. What else were you all up to this weekend? 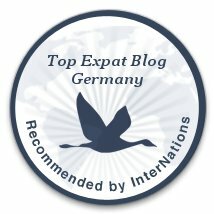 Any one ever been to Karlsruhe before?